This story was updated at 2:55 p.m. The Trump administration scored last week when a House panel voted to give Gulf of Mexico states more power in managing the popular red snapper, but court records suggest it may be a tainted victory. 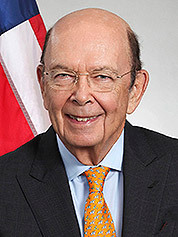 In a June 1 memo, Earl Comstock, the Commerce Department's director of policy and strategic planning, told Ross that a longer season "would result in overfishing" of the stock by as much as 40 percent and possibly prompt a lawsuit. But Comstock urged Ross to extend the season anyway, saying it could lead to "a significant achievement" by forcing Congress to liberalize the federal law and transfer more authority to Gulf states. "It would allow a reset in the acrimonious relationship and set the stage for Congress to adopt a long-term fix," Comstock told Ross. "I appreciate it when people are transparent about their intentions," said Janis Searles Jones, the CEO of Ocean Conservancy, a nonprofit environmental group. "It was a patently illegal action — they admitted there was going to be substantial overfishing," said Charles Witek, a recreational fisherman from New York who testified in favor of the fisheries law at a House hearing in July. "What it tells you is that you have an administration that places short-term economic gains over the long-term health of fish stocks, with really no regards for the science." Both Commerce and NOAA declined to comment on the memos, which were first reported on by USA Today. But in October, Justice Department attorneys representing the agencies asked the court to dismiss the case, saying the "claims are moot." In a 31-page brief, the government's lawyers said the issue should be left to NOAA Fisheries to resolve because the 2017 season has already expired and the agency has no plans to lengthen it again in 2018. The brief describes Ross' move to lengthen the season as "a one-time action." A judge's ruling is expected at any time. Regardless of the legal outcome, the political controversy surrounding the red snapper is far from over. As recreational anglers maintain their push for longer seasons, the latest worry for opponents centers on a federal plan to spend $12 million for a two-year study to estimate the number of red snapper in the Gulf. Aided by scuba divers and underwater cameras, 21 scientists will soon begin the project, which will be led by Greg Stunz, a professor at the Harte Research Institute for Gulf of Mexico Studies at Texas A&M University, Corpus Christi. "The red snapper fishery is probably the most contentiously managed fishery in the world, for sure in the United States, and certainly the Gulf of Mexico," Stunz said. "Even NOAA realizes that their numbers are not as good as they could be. We're not trying to go out and disprove or prove or refute the NOAA assessment, but it's just very clear that it needs to be bolstered by new and improved data — and everyone, including Congress, recognizes that." When NOAA announced the study last month, Republican Sen. Richard Shelby of Alabama said the need for better data on the red snapper population is "a fundamental issue plaguing the fishery" and the reason why he pushed for funding for the project. It will be financed by a $9.5 million federal grant and $2.5 million in local matching funds. "It is my hope that these independent scientists will be able to accurately determine the abundance of red snapper in the Gulf of Mexico once and for all," Shelby said. But critics are skeptical it will be an independent study. Meredith Moore, director of Ocean Conservancy's fish conservation program, said the Comstock memos show that "political pressure overrode science," and she's hoping that won't happen again. "We’re encouraged about the opportunity for new science. What remains to be seen is whether political pressure will continue to override science-based fishery management decisions," she said. Witek said he questions whether Stunz can lead an independent study because of his close ties to the sportfishing industry: Stunz is the endowed chair for fisheries and ocean health and director for the Center for Sportfish Science and Conservation at the Harte Research Institute. That center began with a $500,000 donation from the Coastal Conservation Association, a group that has pushed to change the federal fishing law. Witek said that NOAA scientists, who receive government salaries and do not have to compete for federal grants, would be best-equipped to lead a neutral study. And he said it's very unlikely that the 21 scientists will report that there are fewer red snapper in the Gulf than NOAA Fisheries believes. "I'm trying to keep an open mind," said Witek, who writes a blog on fisheries issues. "The question is: Are they going to get a statistically valid survey or are they going to pick out areas where they know there are going to be more fish? I'm really worried about the methodology." Stunz said the scientists in the project are "the best of the best" and represent a wide variety of views on how the red snapper population should be managed. "Because this is really a monumental undertaking in a very short period of time, we wanted the best possible scientists we could get," he said. "So these are really world-class, the top of their game, red snapper scientists. ... We definitely are not all on the same page on where we think red snapper management or the population is. We all just want the best data possible." A 'poster child' for poor management? NOAA's management of the red snapper has come under attack from Democrats and Republicans alike while drawing attention from Commerce's Office of Inspector General. When Commerce announced the extended season in the Federal Register on June 14, House Natural Resources Committee ranking member Raúl Grijalva (D-Ariz.) said the department had acted without showing any "scientific justification." And he noted that Commerce admitted its plan could delay rebuilding of the red snapper stock by as many as six years. In a statement today, Grijalva said that "gutting fisheries provisions and ignoring the science behind sustainable management systems is shortsighted and sets a dangerous precedent for fisheries nationwide." "The Trump administration knew the consequences of ignoring the science and extending the recreational fishing season in the Gulf of Mexico," he said. "This wasn't an oversight — this was a deliberate action to undermine conservation gains made in the red snapper population. Our fisheries laws are in place because they work and deliver results." The Commerce IG got involved last year when Sen. Marco Rubio (R-Fla.) complained that the rebuilding plan for the red snapper had failed after NOAA closed the season in South Atlantic federal waters for two years in a row. Responding to Rubio, the IG's office said it had planned to examine NOAA's science assessments after similar concerns had been raised with other species in other regions of the country. And in a report to Congress in March, Peggy Gustafson, the new Commerce IG, said NOAA Fisheries "continues to face challenges to ensuring timely and accurate assessments" of its stocks, citing it as a top management and performance challenge facing the agency. On Capitol Hill, no fish species has been in the spotlight this year more than the red snapper. When the House Natural Resources Committee voted last week to overhaul the Magnuson-Stevens Act for the first time since 2006, Chairman Rob Bishop (R-Utah) said fishery management decisions in the U.S. have become "notably worse" over the last 10 years, resulting in too many restrictions on fishermen (Greenwire, Dec. 13). "The Gulf of Mexico red snapper fishery has been the poster child for what can go wrong when the perfect storm of bad science and too-rigid management practices come together," Bishop said. The panel also passed "The RED SNAPPER Act" — the "Regionally Empowered Decision-making for Snapper, Noting the Angling Public and the Preservation of an Exceptional Resource Act" — of 2017, H.R. 3588, a bill sponsored by Republican Rep. Garret Graves of Louisiana. Graves said the legislation would give states "more autonomy" in managing the red snapper, allowing them to establish seasons 25 miles into the Gulf of Mexico. 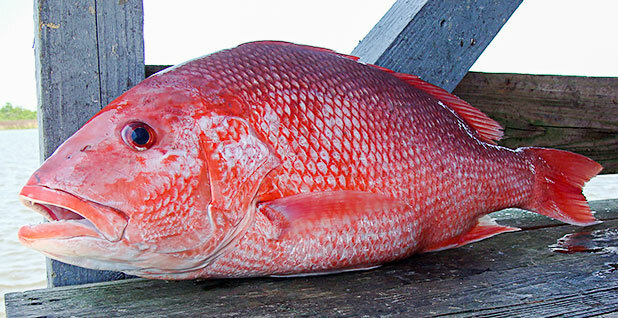 In September, Graves said that a short federal season is unwarranted, citing an abundance of red snapper in the region. As proof, he said that when he went fishing with two groups out of Port Fourchon this year, all 15 people reeled in snapper with every cast (E&E Daily, Sept. 25). When Ross extended the federal season by 39 days in June, he told a Senate subcommittee that fishermen "are frustrated" with shorter fishing seasons and that he shared President Trump's "commitment to cutting unnecessary red tape and eliminating failed regulations." And in a statement last month, Ross said the new fish-counting project will now give federal officials "insights" into the red snapper population. While the Senate has yet to act, things so far appear to be going as planned for the Trump team. 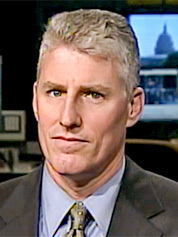 When Comstock testified before the House Oversight and Government Reform Subcommittee on the Interior, Energy and Environment in May, he called for less federal control, saying "a regional management strategy could help to resolve the current challenges" in managing the red snapper population. And when Comstock advised Ross to extend the federal season in his June 7 memo, Comstock said the move would help "reduce a major source of constituent frustration," even if it "almost certainly" would result in getting sued. "Approval would also put the ball squarely in the court of Congress," Comstock said.